The upcoming Lancome fragrance, La Vie Est Belle (i.e. Life is Beautiful), is exactly the kind of perfume we dedicated perfumephiles love to kvetch about without any grave reason, come to think of it: It won't knock your Spanx off, sure; it's a "pretty" smell for pretty ladies (as evidenced by the face fronted it, the original Pretty Woman) but it's not a genuinely bad release all the same, just derivative. It suffers from the major problem of mainstream perfumery: a sense of sameness, a sort of deja vu, when what we yearn for is earth-shattering uniqueness, Heathcliff boldness and passion, springboards for heated discussion with a slice of brie in one hand and a good goblet of Laphroaig on the other while Mahler's 3rd blasts out of the speakers. To cut a long story short: La Vie Est Belle an iris "gourmand" with patchouli. Just how many irises, gourmands and patchoulis are there on the market currently? Do I hear you say hundreds? I thought so! And yet, this fragrance is pretty well-executed within the genre, if sweet and over-tenacious. It's really a floriental for the 30-50 age group of women who want something contemporary that wouldn't have their teeth fall off at the same time. Lancôme after all has never ditched their more "mature" outlook (Tresor Midnight Rose non withstanding) and the accompanying image the way Dior has, as I was discussing with one of my online friends. 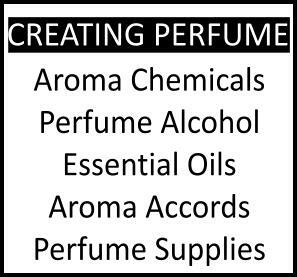 In that context, the fragrance succeeds in its intended demographic, all caveat emptors in place. This gourmand yet rather delicate composition was developed by famous perfumers Olivier Polge, Dominique Ropion and Anne Flipo, all known for their talent and technical skill. The final formula is claimed to be the result achieved after 3 years of testing and 5000 versions including precious ingredients (Iris Pallida concrete, Jasmine sambac absolute, orange blossom absolute, and patchouli essence; we can take this with a grain of salt or not). When you're hearing things like that, you know you have reason to get worried. Iris is supposedly the key ingredient of the perfume, surrounded by orange blossoms and jasmine in the heart. The iris isn't really perceptible as such to my nose, though, I have to say: that carrot-rooty often metallic note we associate with iris fragrances is very subtle and floats in the background as a murmur rather than a clear command. The composition’s opening provides fruity flavors of black currant and pear, those can be felt, while the base is warm, gourmand and powdery due to almond-like accords of tonka bean (high in coumarin), praline (shades of Angel, especially coupled with the next two ingredients), patchouli and vanilla. The recognizable reference in La Vie Est Belle comprise a hint of Delices de Cartier (instead of cherry, the fruity nuance is orange-toned but in a clean, fresh and pleasant way) and Flowerbomb's fruity-patchouli sweetness rising from the core. It's somehow airier, like a gourmand done in devore velvet rather than heavy damask. It also vaguely reminds me of Hanae Mori #4. Of course all these facts point to the theory that if you own any of the above, there's not much point in owing La Vie est Belle as well. That's for you and your Visa to decide. The lasting power and projection of La Vie Est Belle, available as eau de Parfum, are both very very good, a technically able fragrance, and though I wouldn't be too displeased to be in the company of the woman wearing it, I wouldn't buy a full bottle for myself all the same. 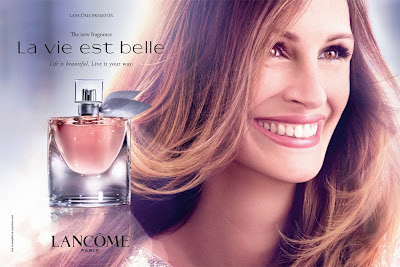 La Vie Est Belle is the newest Lancome fragrance, available on the market from autumn 2012 in major department stores. The concept of this fragrance is centered on real beauty in small things, freedom from conventions and the wisdom to go after one's heart. The (beautiful) flacon is a redesigned version of a Lancome bottle from 1949 from the brand's archives. Actress Julia Roberts is the face of the campaign, shot by director Tarsem Singh. NB: I shared a sample with a friend who works in the press and got a preview herself. Funny, I saw this the other day being sold on HSN. I have not seen it yet on counters. Thanks for your review. I will give it a sniff but am not expecting much. For me, the glory days of Lancome are long over. Bring back Climat! Today there was a sample of this perfume inside ulta's caralog. I really liked it and ordered it right away from ulta! Shall sniff when it gets to my shores ..... and this one will. Sorry if off topic, but could you recommend some mainstream iris scents - even if not gourmand? I love Infusion d'Iris and am now interested in the note. I have a small decant of VC&A Bois de Iris but its not quite to my taste and I do like Dior's Homme but I think it may be a little too masculine. Evelynn&Crabtree's is watery and dull to my nose though...Niche is a bit hard to find here so Iris Silver Mist and Iris Poudre is out of my ambit! 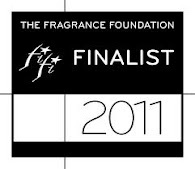 Mmm I expected a bit more than the average nice mainstream perfume every brand seems to make. I saw the presentation it looked nice but still I guess it isn't easy to go back to former glorious days once you lost your touch. Lancome seems to have done so. Anyway I think it will be a huge success as soon the advertisements will be everywhere and Jilia's face sells a lot. Also the bottle is very nice and by the notes and your testing it sounds non offensive - linear - easy to like perfume. My opinion they should have dared for something different. And, that is exactly why I just do not buy mainstream perfumes hardly at all anymore. It's like you wrote.... they have a deja-vu / sameness to them. Case in point... I was looking forward to the new DK Woman that comes in that iron shaped bottle. I sampled it a couple of weeks ago and yuck. I was really disappointed. thanks for the additional info on sources. Good to know! indeed this one will definitely will come to your shores! LOL, not always the very best ones. But I think it's not that bad. It's rather well tempered for that sort of thing, not too syrupy, not too predictable, though a long shot from our favorites. I happen to find Dior Homme magnificent and not too masculine myself; I do wear it all the time on my skin and no one has mentioned anything about it being masculine etc. I think it's your best mainstream bet, especially the regular version. From then on, you can locate the moderately priced L'Erbolario line which has an Iris which is more chocolate-y than most with its cocoa powder lace and which lasts very well. There is also the Yardley Iris in their new line which is also a good representation with woody accents, though that one is more iris than woods than Infusion. Perhaps the glory days are over for most of the companies. There are huge financial bets today to risk. On the other hand, this is a better specimen than the likes coming out from houses such as YSL (what a shame!) or Dior lately. It's really difficult to do a universally likeable mainstream that will distinguish itself all the same Only a few succeeed (Prada etc). Happy to see you here, how are things? How's the adorable family? I knew I'd peg you all right. You have a discerning taste and judging by everything you buy and wear I don't see you falling for a mainstream any time soon. Like I said above, very few mainstreams now manage to be both likable and distinctive enough at the same time. It's a very hard nut to crack! There's nothing wrong with being a little bit more demanding from one's perfume. Since we collect, we have a say in what goes into the curated collection and it should all represent an ideal that the collector holds near and dear to their heart. Had I not being writing for perfume professionally I wouldn't be testing quite as many fumes myself; it's getting deja vu after a while indeed! oh don't apologize! 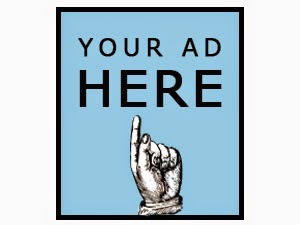 It's a toothy ad all right. It almost seems like it was a bit Photoshopped to highlight the mouth even more, which is odd!! The bottle, the notes and your comments makes me think of Guerlain Shalimar Parfum Initial. Do they have something in common? Things are good here. I'll drop you an email within a few days. I can't believe it's been almost one year that we were in Athens. Incredible how fast time moves. I can't believe it's been almost a year since we were in Athens. Incredible how fast time moves. bah....I kinda like the Guerlain more. the bottle would look great in extrait though! I got a sample of Lancome vie est belle yesterday at Belks and I love it!!! I sprayed some on me while in the store and before I left the mall I got 4 compliments on the wonderful fragrance. My husband and mother both loved it. I cant wait to share this with my six sisters... I think this fragrance is a breath of fresh air/ comeback for Lancome! Oh, and the photo of Julia Big teeth??? What ever! She is just as beautiful as ever with her pearly whites shining. I have always thought Julia Roberts had a beautiful smile. good for you! Enjoy! One could do worse, that's for sure. I think Julia has an engaging smile. Not sure I'd say it's beautiful (too wide? too toothy? then again who am I to judge, mine is far from perfect) but it's commanding attention for sure. I'd say her most beautiful feature is her very sincere-looking, emotional, bright and smiling eyes. it has a light cherry syrup smell. and a little like cotton candy.. but not over sweet.. I don't know all the names, and how to explain a fragrence..I would like to buy it, I have only tried it several times at the Dept store.. and in my serious shopping experiences the store tester is always better than the one that I buy.. always. I tested this scent last night and loved it so much I didn't want to take a shower. Does that make me mainstream? Hardly! To me this scent is everything I want - a little feminine, a little spicy, a little heady. my name is marsha and i am a sensitive nose. just like all of my family (mom dad, siblings) including my husband. please dont use this as daily basis. and i dont want to smell this in my office/classroom. it is smells feminine but there is something about lancome (most of their perfume including tresor) that makes me dizzy, migraine and i want to puke. my husband keeps sneezing in the dept store where the lancome sold. very strong scent, very heavy. filled the whole room with this like a room fragrance sprayer. please use this to date, to a party, winter, etc. you dont want to offense your employee's or classmate's nose.